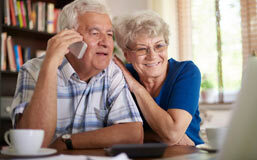 Multiple convenient locations in Mesa, Gilbert, San Tan Valley and Scottsdale. Each of the 24 board-certified physicians on staff at Tri-City Cardiology, is dedicated to bringing only the best cardiology and vascular care to their patients in the Phoenix Metro area. Each one is a leader in his or her field; many earning the distinction of “Top Doctor” recognition by Phoenix Magazine since the practice was established in 1979. As graduates from some of the nation’s leading medical schools and fellowship programs, the Tri-City Cardiology team of physicians enjoys a national reputation for excellence and achievement. 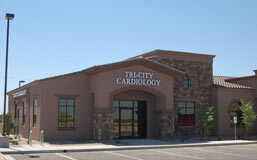 Thank you for choosing Tri-City Cardiology for your cardiovascular care! Our team of physicians consists of 24 board- certified cardiovascular specialists who received training at some of the top medical universities and fellowship programs in the country. Their expertise in cardiovascular medicine and subspecialties such as Interventional Cardiology, Vascular Medicine, and Electrophysiology have enabled them to lead the development of innovative cardiovascular medicine in the East Valley and greater Phoenix metropolitan area. Our physicians work closely with East Valley hospitals to bring state-of-the-art diagnostic, treatment, and preventive services to the community. Approximately 25 million Americans suffer from venous disease, a condition which often results in varicose veins. Other symptoms of venous disease include pain, swelling, leg fatigue and ulcers on the legs or feet. These symptoms can have a significant effect on a person’s lifestyle and confidence. The Vein Center at Tri-City Cardiology specializes in treating the root cause of venous disease. Our team of board -certified vascular physicians have years of experience and are experts in the latest minimally invasive procedures. You don’t have to live with painful or bothersome veins. Schedule an appointment today.